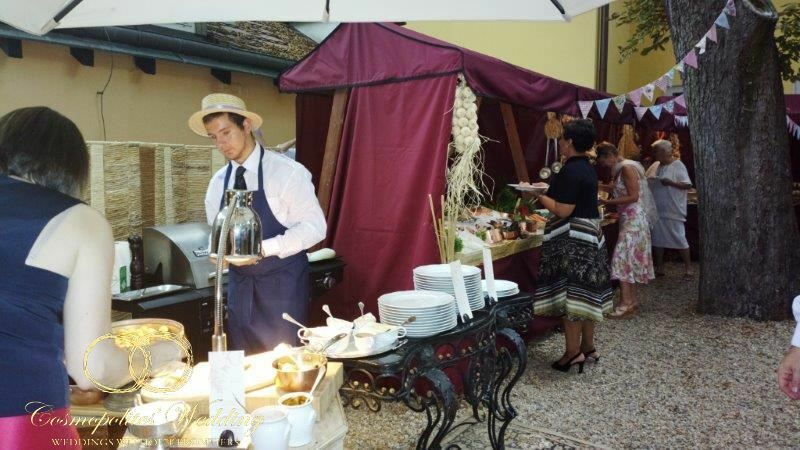 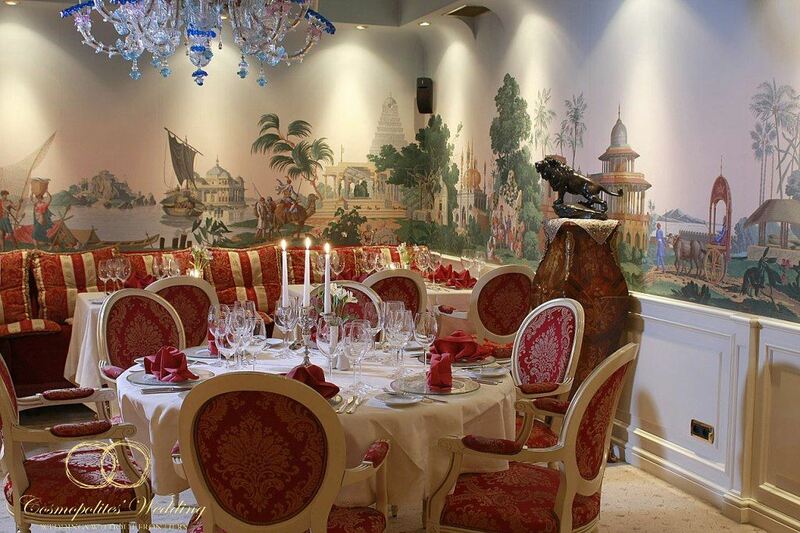 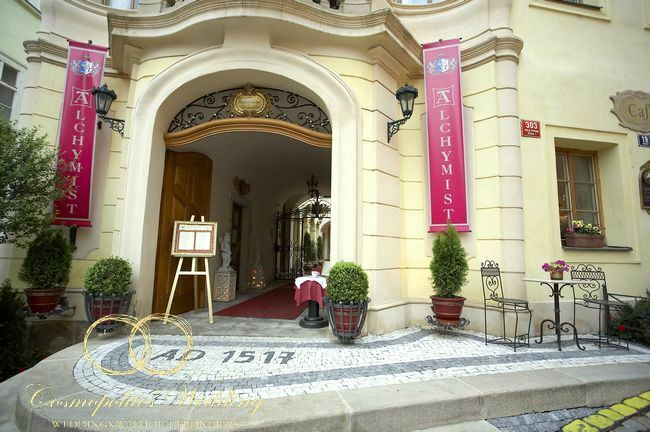 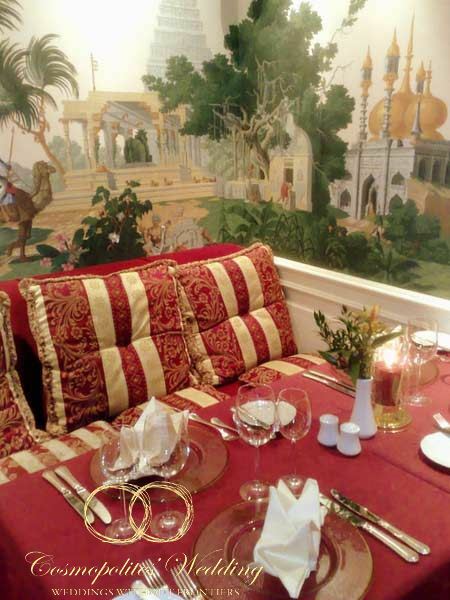 Alchymist Grand Hotel is very chic baroque style boutique hotel which is situated just a few steps from the Charles Bridge and the Prague Castle. 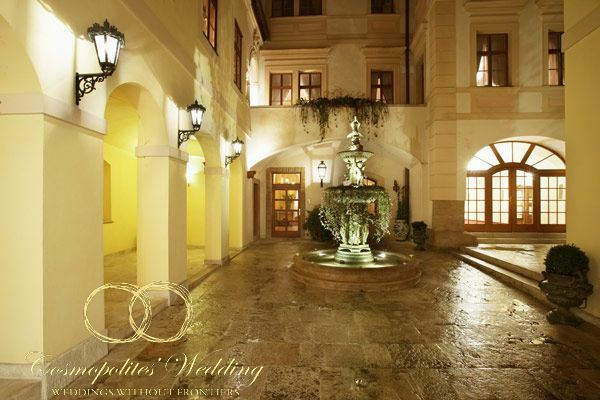 Alchymist is one of the most enigmatic buildings of Mala Strana and was built in the XVI century. 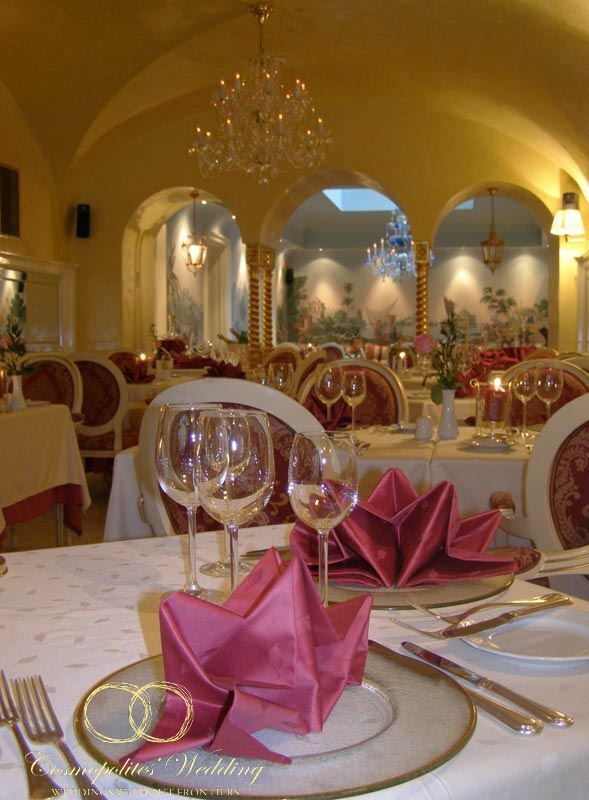 The name «Alchymist » comes from the mysterious reign of Rudolf II. 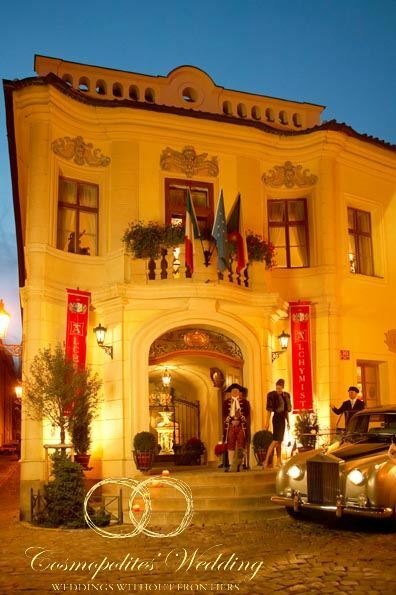 This newly renovated five-star boutique hotel is known for its unique interior, preserved their historic flair. 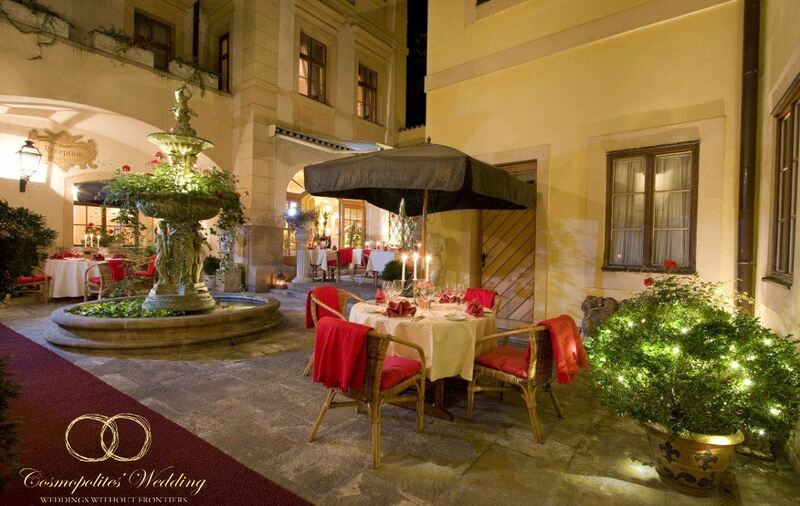 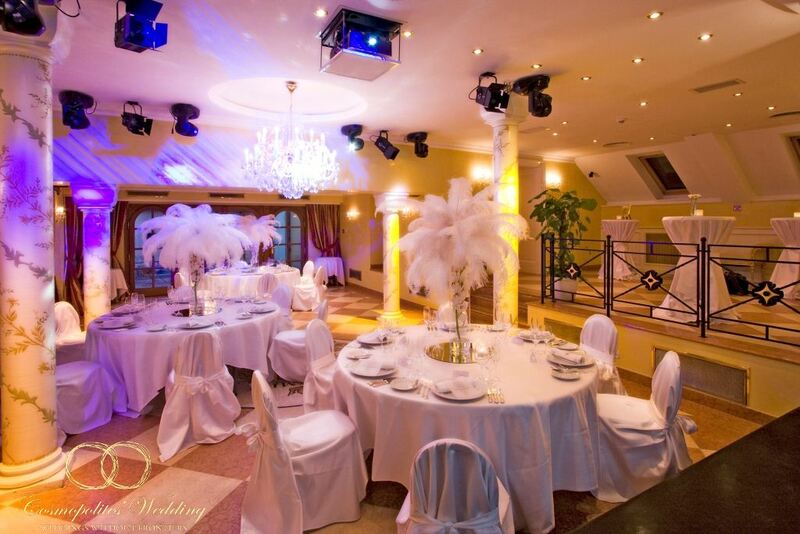 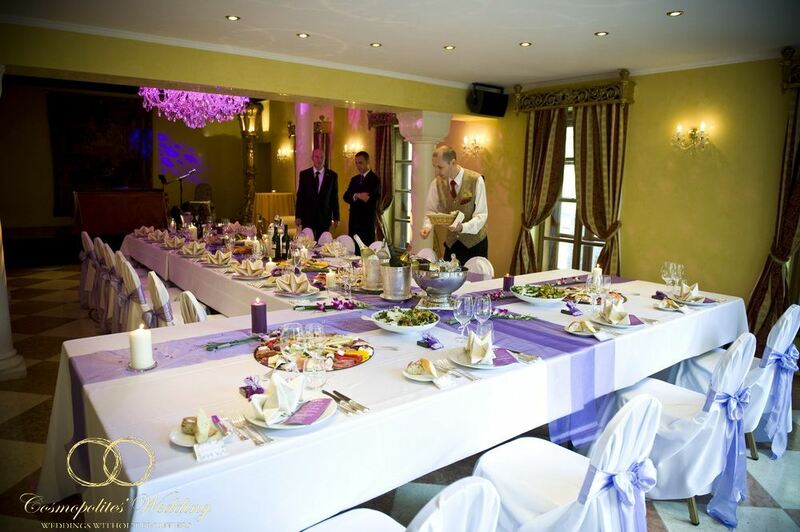 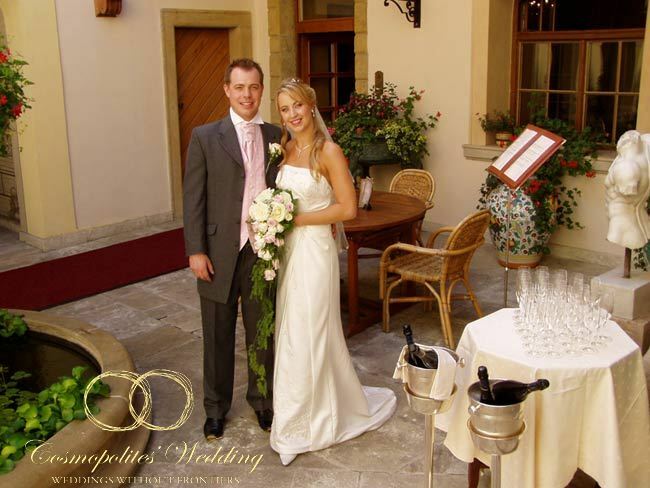 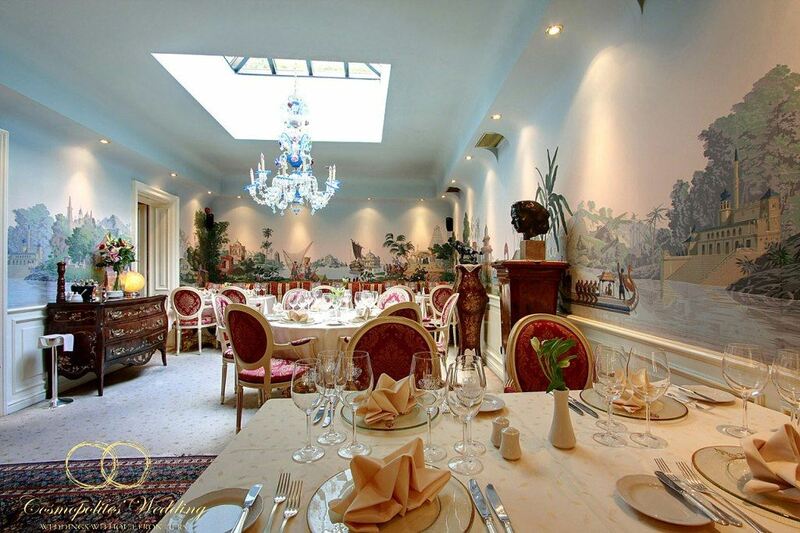 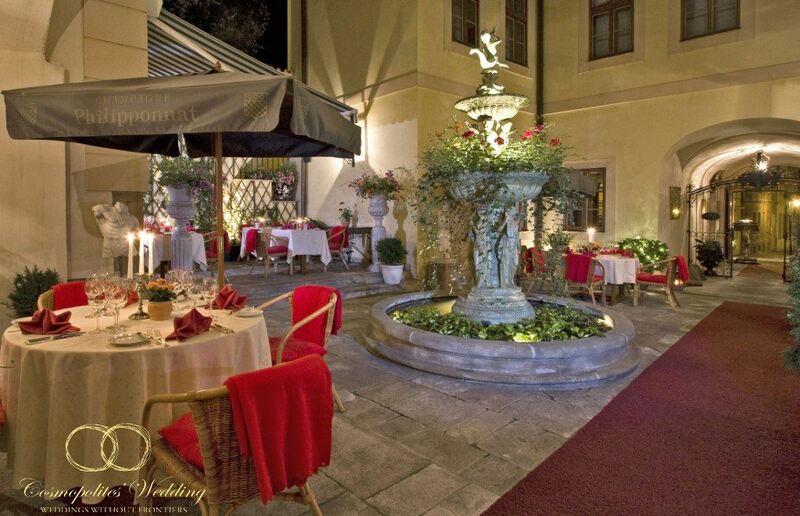 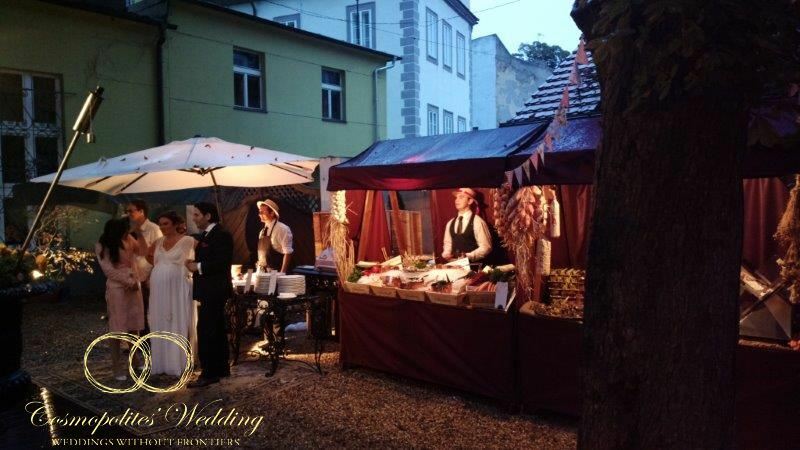 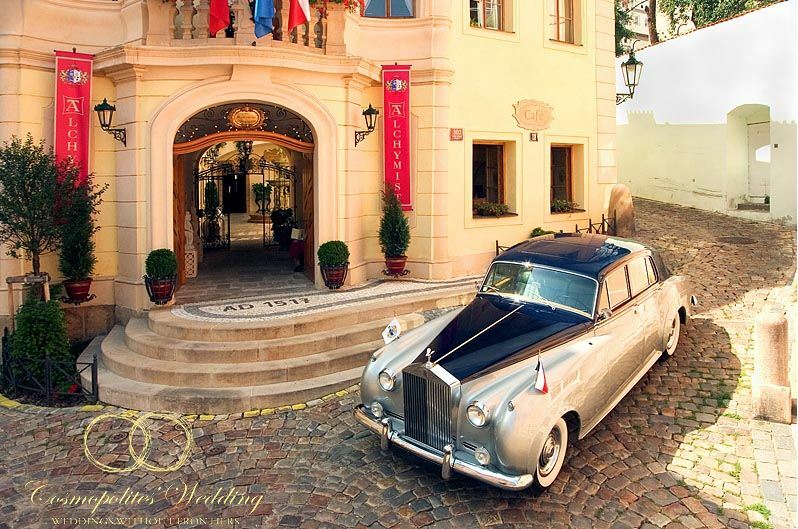 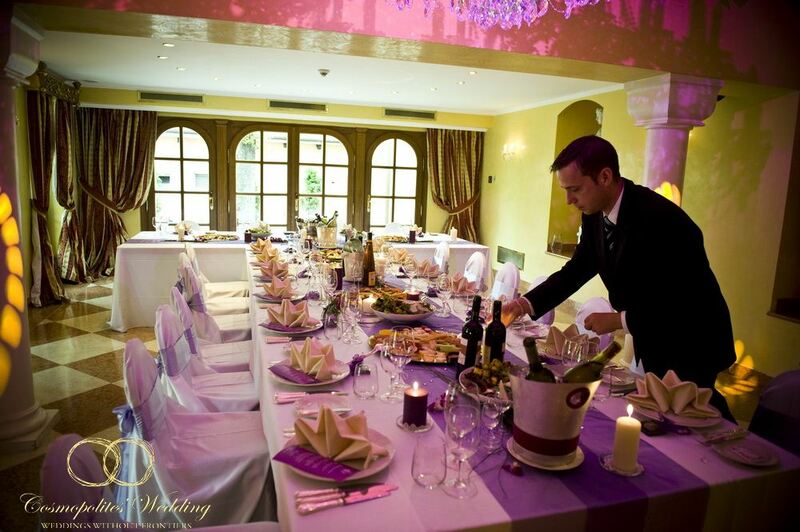 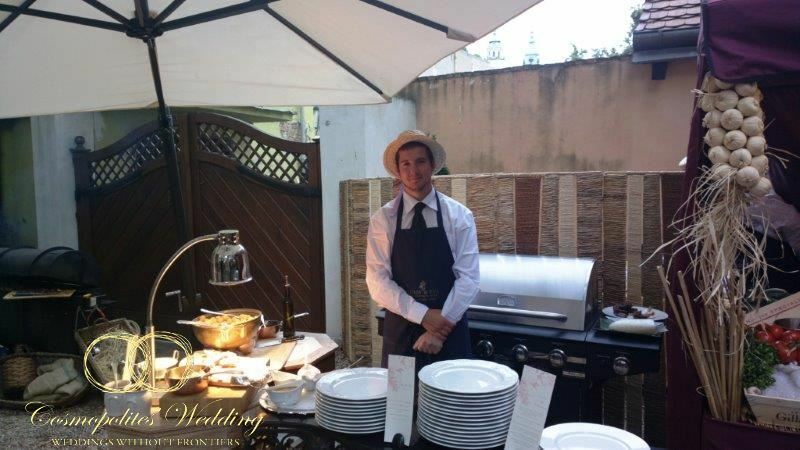 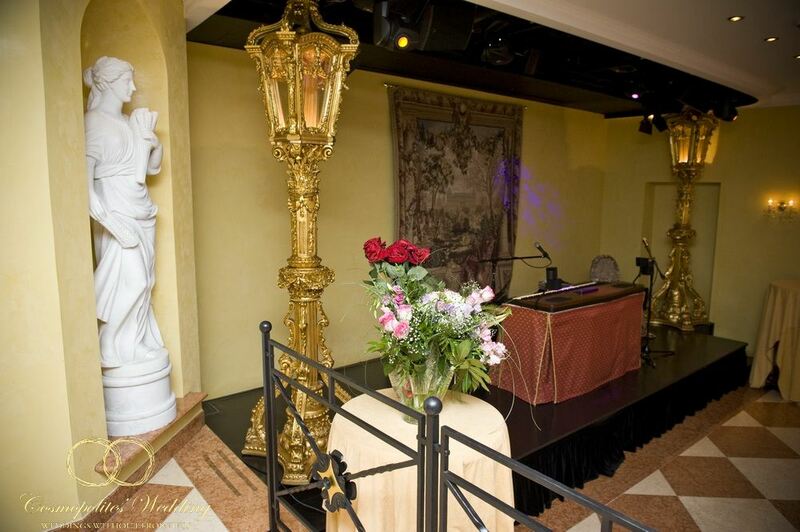 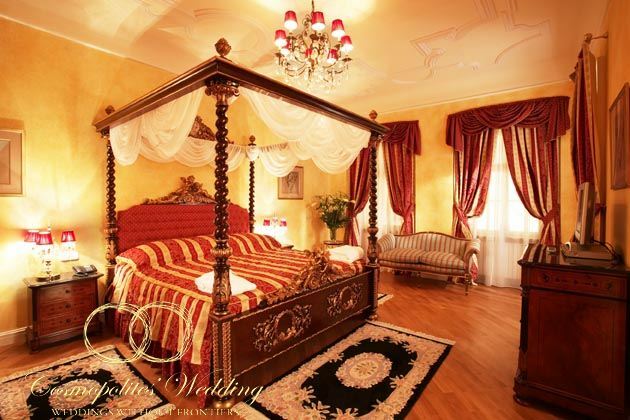 Alchymist Grand Hotel & Spa is the ideal venue for your unforgettable wedding in Prague! 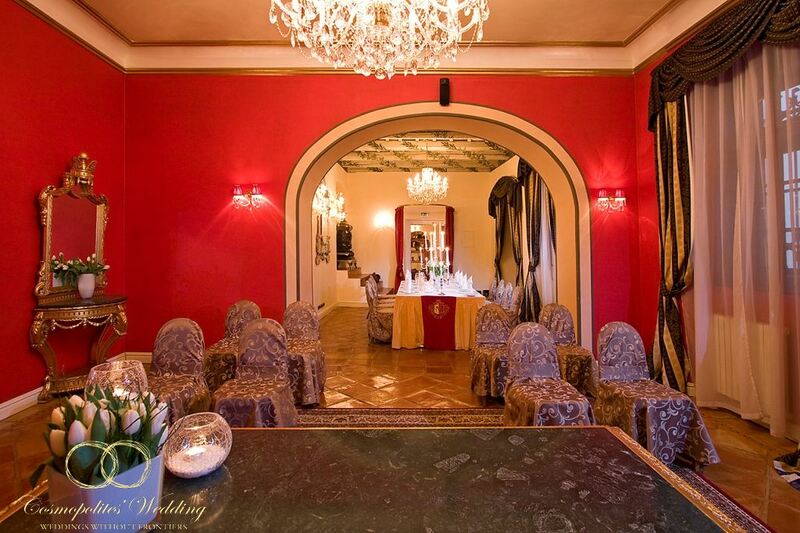 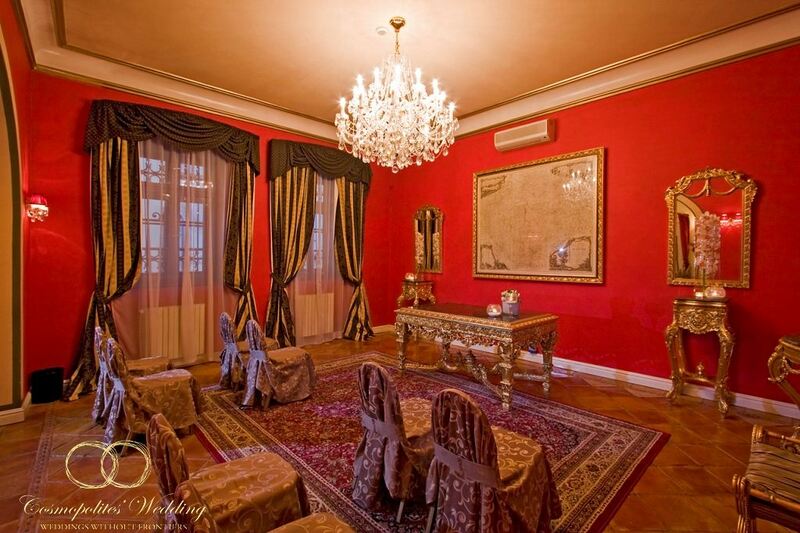 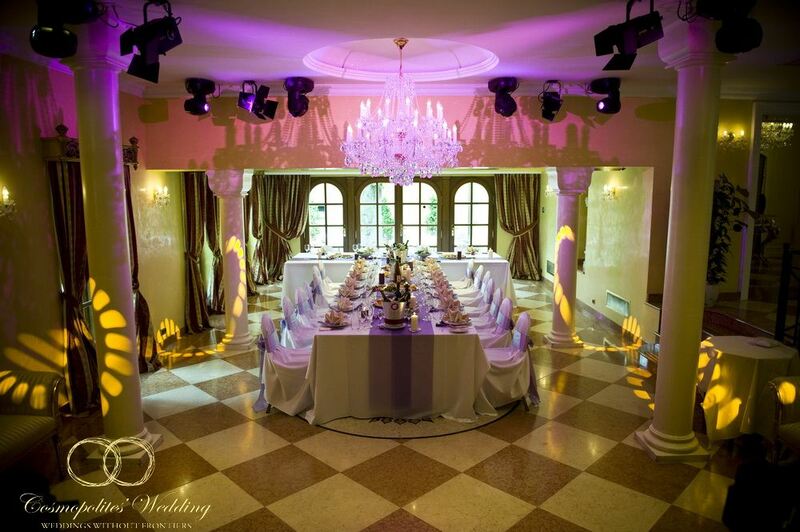 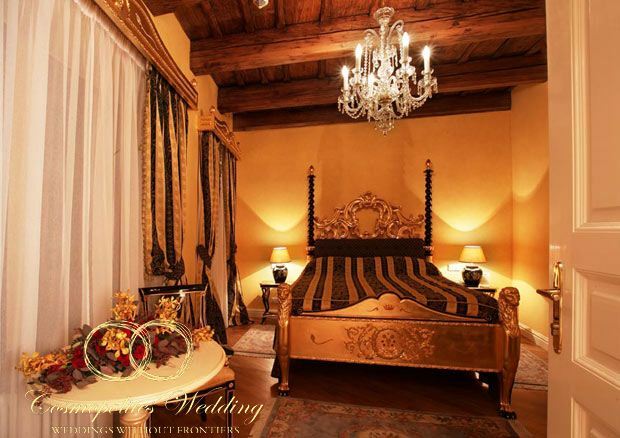 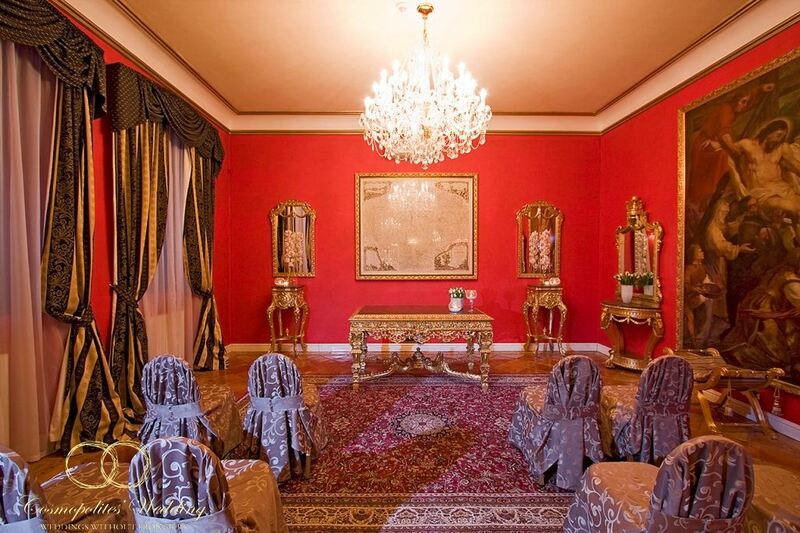 Wedding ceremonies are held in the Mirror Hall of Alchymist. 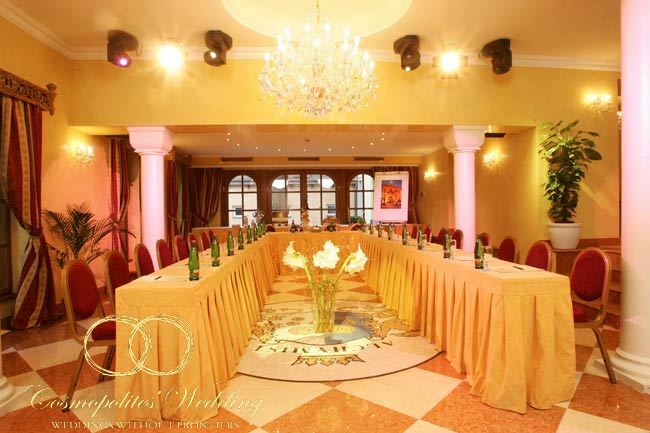 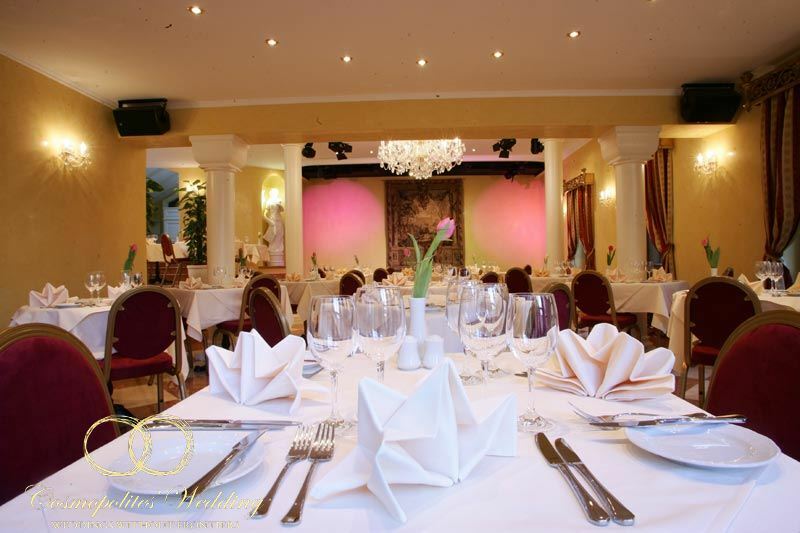 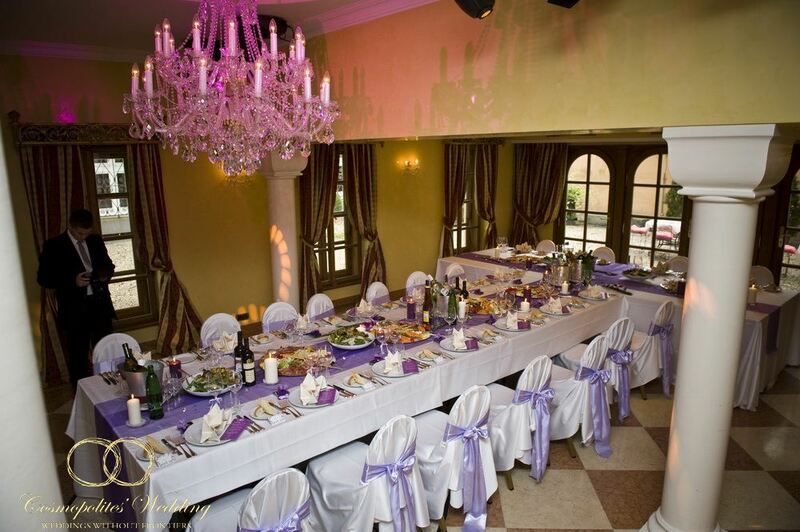 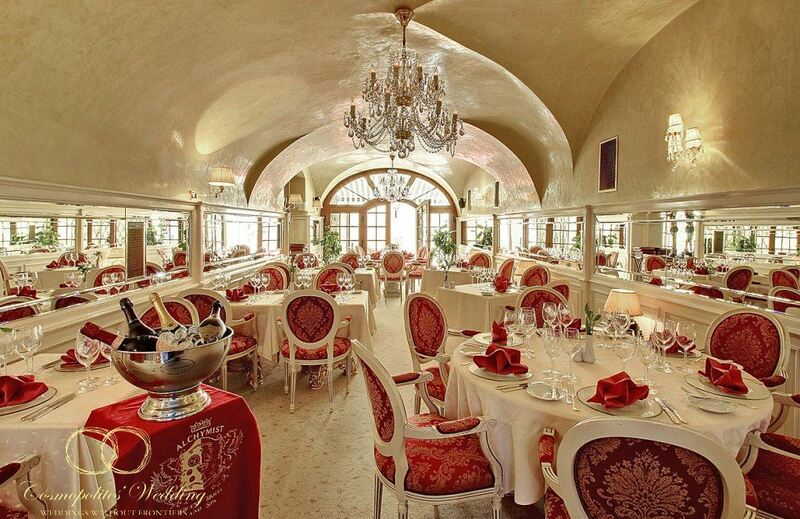 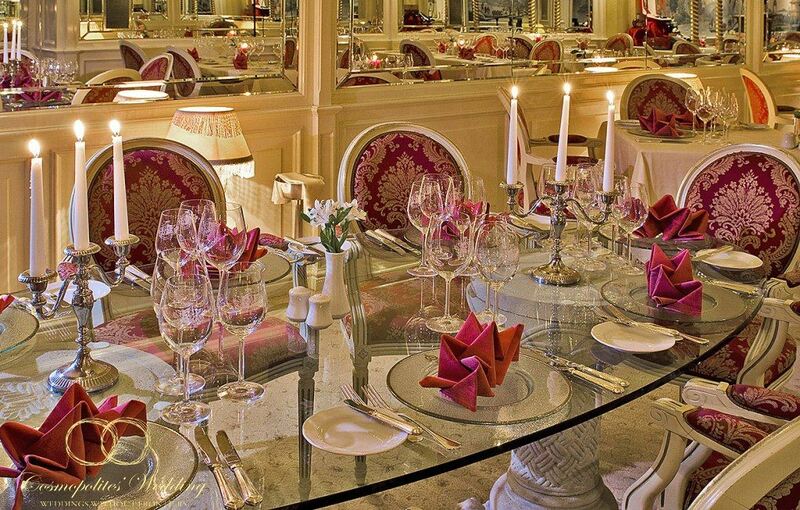 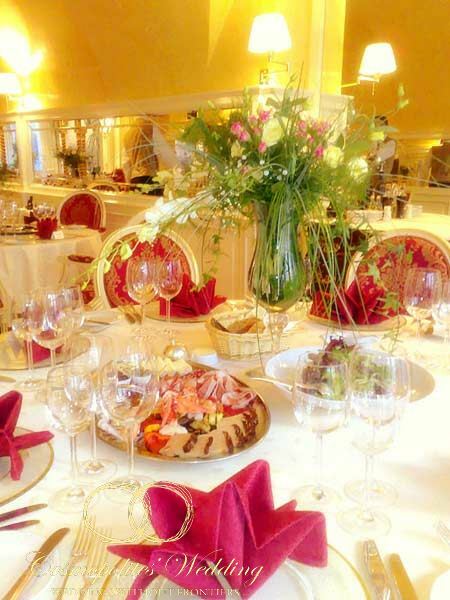 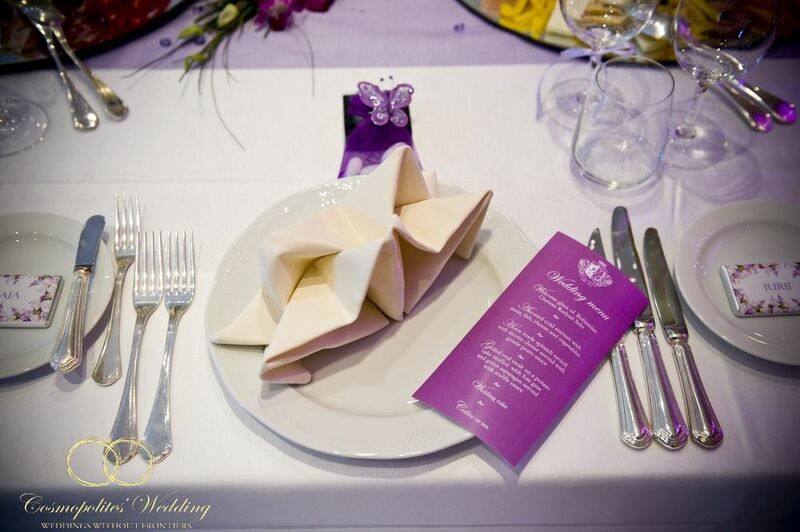 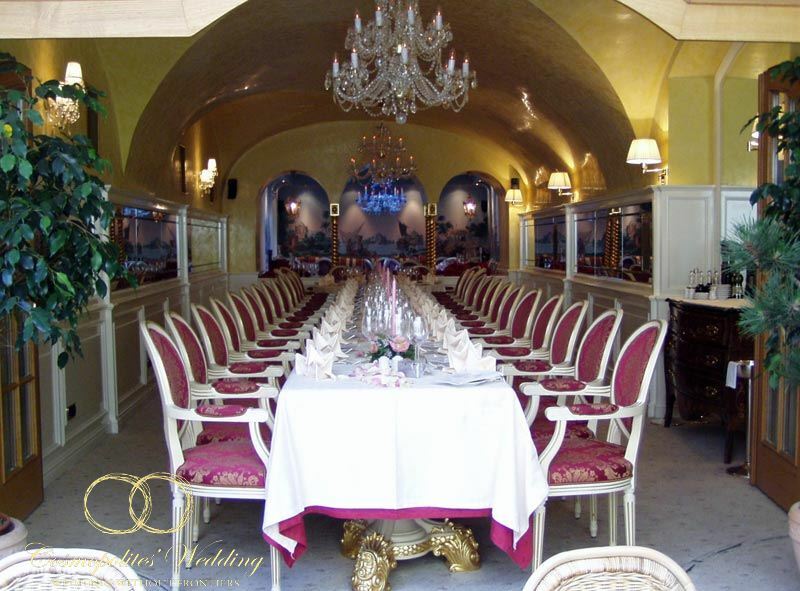 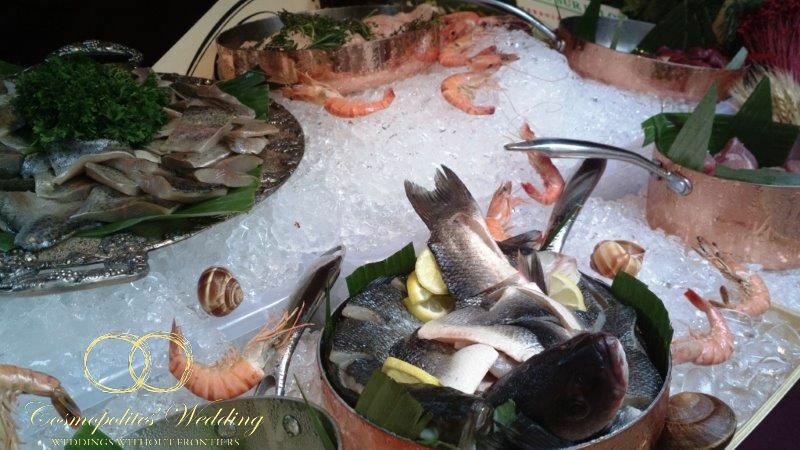 Wedding banquet can be realized either in the restaurant Aquarius or Crystal Ballroom. 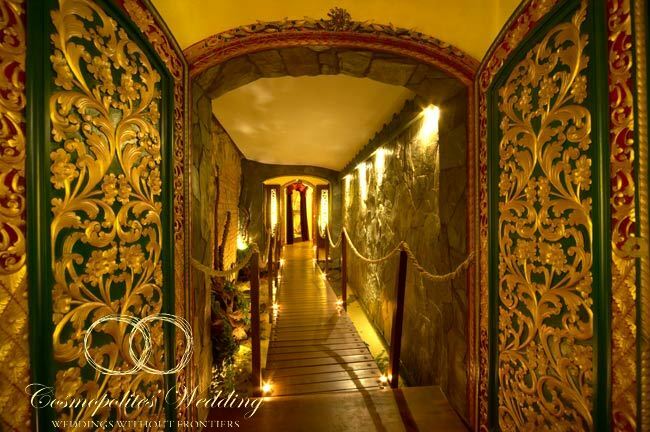 If you dwell at the hotel Alchymist, you can also visit the beautiful hotel’s spa complex. 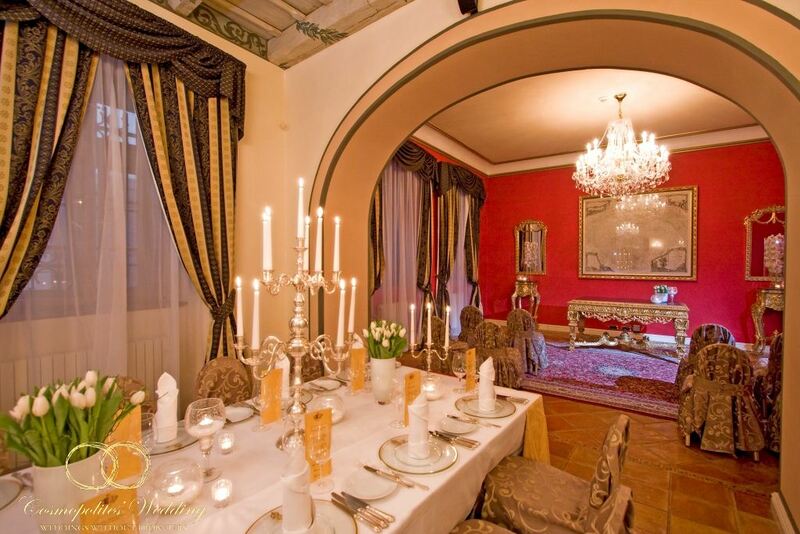 flower arch — from 120 EURO. 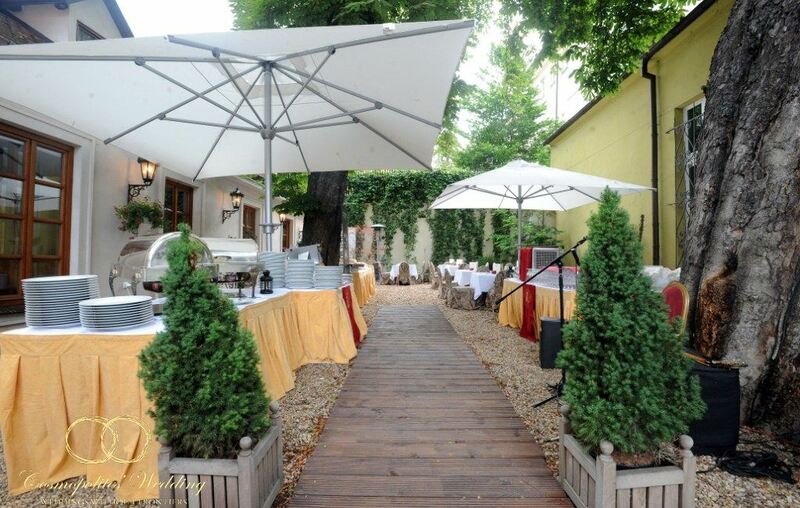 The Mark Hotel (5*) – 210 EURO/night — DBL room with breakfast.